First it needs to be stated that the views through a small telescope, like those normally purchased as a first telescope, will not produce views like those seen in books and magazines. 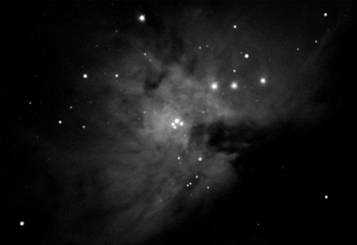 The sorts of images reproduced in magazines are mainly those taken by experienced astronomers using state of the art equipment. The whole point of using a telescope is to be able to see these objects yourself. To be able to sense with our own eyes the photons that have actually come directly from the Moon, planets and even the stars is the ultimate thrill of using a telescope. As these photons of light enter our eye they activate our visual sensors and we are in effect able to touch those particles that have come from so far away. A beginner need not be disappointed at not seeing the same detail shown by the world’s giant telescopes or space probes these can be seen on the internet or in the astronomy magazines. Enjoy finding and seeing these objects ‘live’ in the night sky and for real from your own backyard. Before considering what we are able to see in our first telescope we should re-visit some the equipment that is typically supplied with a first telescope. 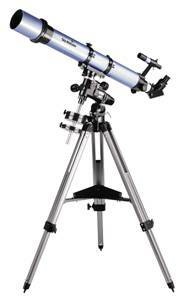 Most telescopes are supplied with two eyepieces (see the image above). These are usually marked to enable them to be identified by the focal length. This is marked somewhere on the eyepiece body and appears as a dimension in millimetres. The larger one is normally between 20mm and 25mm and is the lower power (lowest magnification). The smaller (higher magnification) is normally around 10mm. Magnification, strictly speaking, is not an attribute of the telescope it mainly depends on the eyepiece being used. A telescope of a specific focal length will produce an image of a specific size and this cannot be changed. For example a telescope of a certain focal length may produce an image of the full moon 10mm in diameter. A longer focal length will produce a larger image (perhaps 15mm) and a shorter focal length will produce a smaller image (Perhaps 6mm). The eyepiece is then used, much like a microscope, to magnify that image. 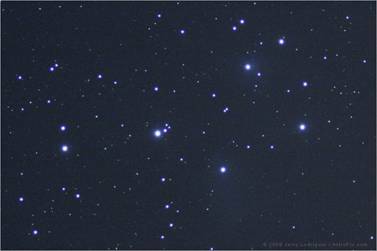 A larger image to start with will allow the eyepiece to produce a larger image to view (higher magnification). The eyepiece with the longer focal length say 25mm (low power) used on a telescope with a 1000mm focal length will produce a magnification of 1000 ÷ 25 = 40x. A short focal length 10mm (high power) eyepiece used on the same 1000mm telescope will produce a magnification of 1000 ÷ 10 = 100x. However the same eyepieces used on a 1500mm focal length telescope (that naturally produces a larger image) will have magnifications of: 1500 ÷ 25 = 60x and 1500 ÷ 10 = 150x. Some telescopes are supplied with a ‘Barlow Lens’ (see the image above). This is a single lens set into a body that fits into the focusing unit which generally has a 1¼ inch (31.75mm) diameter interface. The eyepiece can be removed and the ‘Barlow’ fitted into the focuser. An eyepiece can then be fitted into the ‘Barlow’. The ‘Barlow’ has the effect of doubling the focal length of the telescope. So in the magnification calculation example above the 1000mm focal length of the telescope now becomes 2000mm so the magnification is now 2000 ÷ 10 = 200x. NOTE: after fitting the ‘Barlow’ a considerable amount of refocusing will be required and the object being observed will move across the field of view twice as fast. Using different magnifications is often misunderstood by newcomers to astronomy who mistakenly think ‘the higher the magnification used the better will be the view of the object being observed’. This is not always the case it depends as much on the type of object to be observed and the ‘seeing’ conditions of the sky on that night. An object that appears large and relatively faint in the sky will often look best at a low magnification. 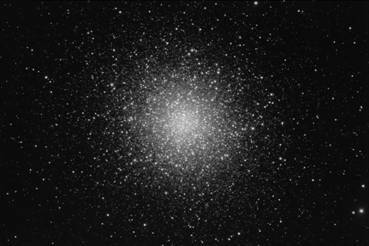 For example M45 the Seven Sisters star cluster or M31 the Great Galaxy in Andromeda. 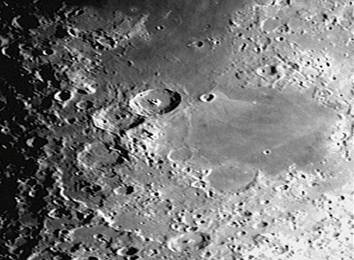 High magnifications can be used on the Moon and the planets to see more detail. The conditions may still restrict the amount of magnification that can be used. If there is a lot of turbulence in the atmosphere using a lower magnification may actually improve the view. Now to consider what we will be able to see when we take ‘first light’ through our new telescope. Let us consider a typical type of beginner’s telescope. The Skwatcher Evostar 90 has an aperture (lens diameter) of 90mm and a focal length of 900mm. 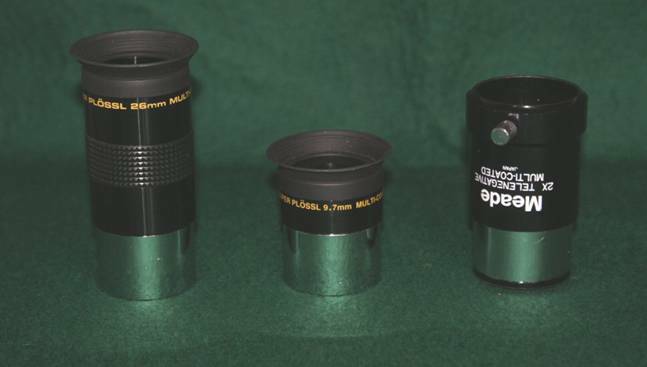 It is supplied with 10mm and 25mm eyepieces. It is also supplied with a 2x Barlow which effectively converts the 10mm to a 5mm and the 25mm to a 12.5mm. These combinations allow magnifications of: 36x, 72x, 90x and 180x to be obtained. This telescope will produce excellent views of the Moon and full magnification of 180mm can be used for observing the Moon. The low power eyepiece should be used first to get an overall view of the Moon. If the Moon is near ‘full’ then it may be useful to lessen the glare by reducing the amount of light entering the telescopes. This can be done by fitting the dust cover over the telescope and removing the small cap to reduce the aperture. The large dark areas known as ‘Maria’ or seas can be seen very well. 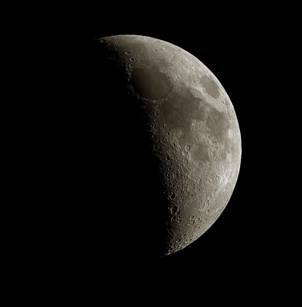 Many large craters will be seen all over the Moon but are more obvious in certain areas. From night to night the ‘Terminator’ will move across the Moon revealing different targets to view. Areas of special interest can be selected and centralised in the field of view. By carefully changing the eyepiece to increase the magnification a closer view can be obtained. 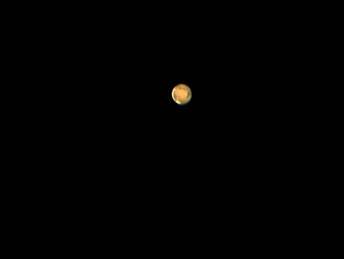 Mars is the next planet out from Earth so it does not show significant phases but it does lose the edges. Some years Mars does not have the closest of approach to Earth and will look quite small through the telescope compared to 2003 when it was at its closest. The highest possible magnification and good ‘seeing’ conditions will be required to see any detail on the surface. The planets Jupiter and Saturn are the most spectacular of the planets to observe through a telescope. Jupiter is a very good and easy target for a first telescope. 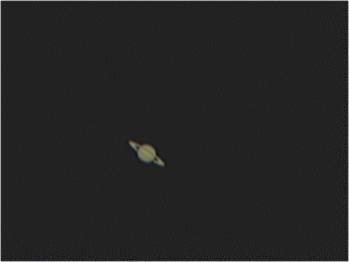 It is large, bright and shows some colour even when using a small telescope. At 35 arc seconds in diameter it is about the same size as Venus and three times the size of Mars. It is bright because a lot of sunlight is reflected off the light coloured clouds that cover its surface. Fit a low power eyepiece into the focuser. Release the drive clutches and use the finder to locate Jupiter. Lock the clutches and centralise Jupiter in the finder. Look through the low power eyepiece and use the focusing knob to adjust the focus until the edge of Jupiter looks sharp. The four large moons should be in a line to the sides of Jupiter and should appear as sharp points of light (looking like stars). They may sometimes all be to one side or one might be missing as it passes in front or behind the planet. Adjust the focus if necessary until the moons appear as points of light. Centralise Jupiter in the field of view and gently replace the low power eyepiece with the higher power eyepiece and re-focus. On a good night a Barlow lens may be used to increase the magnification further. Jupiter will now appear larger and two darker (brown) parallel bands should be visible on the planet. On a good calm night when the air is clear the view of the craters, mountains and valleys can be breathtaking. By tracking across the surface of the Moon, using the drive knobs, it almost looks as if the observer is flying over the Lunar landscape. The planets are a little more difficult to observe and need a little more skill which is easily developed. Mercury and Venus do not show any surface detail but they do develop phases similar to the Moon. So when they first appear low in the western twilight they are emerging from behind the Sun. Consequently the Sun is shining on virtually the whole surface and the planet looks ‘full’. However as the planet is further away from us it will appear small in diameter. As the planets move around the Sun less of their surfaces are illuminated. When they draw level with the Sun one side will be bright and the other will be dark. As Venus or Mercury move closer to Earth they begin to leave the Sun behind so it will be illuminating the far side and the side facing us will become progressively darker. The crescent shape will become narrower but the apparent size will become larger as the planet moves closer. 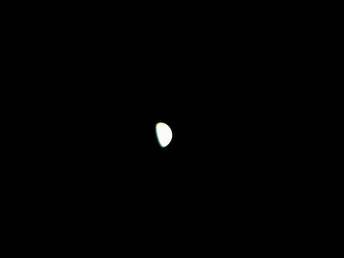 The image above gives some idea of what Venus will look like using a 900mm focal length telescope with a 10mm eyepiece and a Barlow lens (180x magnification). Venus is bright enough to dazzle so the aperture of the telescope may need to be reduced to lessen the glare. Take some time to adjust the focus and to get used to looking at the surface detail. If you have a Barlow Lens centralise Jupiter and gently remove the high power eyepiece. Fit the Barlow and fit the eyepiece back into the Barlow. The focuser will need to be adjusted ‘in’ by quite an amount to re-focus. The image will now be even bigger and appear similar to the image in the previous column. Saturn is our next target and is spectacular due to its beautiful ring system. The planet itself is about half the diameter of Jupiter but only a quarter of the surface area. It receives less than half the sunlight of Jupiter and therefore reflects much less light back to us. However the rings stretch over half the diameter to each side making it a larger target. The rings are tilted about half way towards us this year so they are beginning to approach their best. Use the same technique to find Saturn as was described to find Jupiter in the previous column, starting with the low power eyepiece. Deep space objects such as galaxies, star clusters and nebulae are difficult to see in a small telescope but in a dark sky away from street light pollution some can be seen. 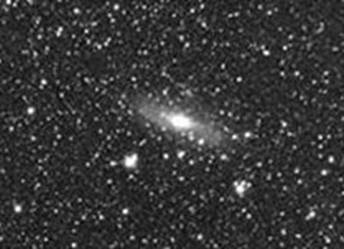 M31 is the only spiral galaxy that can be seen through a small telescope and is worth searching out to say “I have seen it”. Other deep sky objects to look for are M42 the Orion Nebula, M13 the Globular Cluster in Hercules and M45 the Pleiades Open Star Cluster in Taurus.